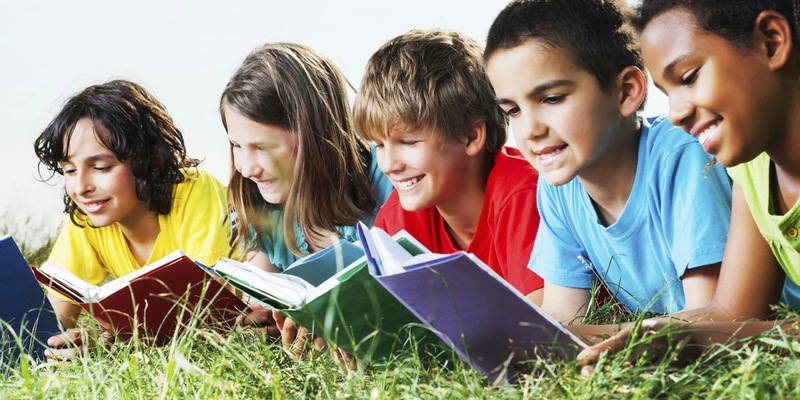 Tutoring For Success: Would Your Child Enjoy A Book Group? Would Your Child Enjoy A Book Group? Do your children read for pleasure? Reading for pleasure is one of the best ways to improve vocabulary, grammar, writing, spelling, reading comprehension, reading fluency, and general academic performance. However, kids today often have limited free time and a variety of enticing diversions other than reading. In the adult world, book groups are popular all over. I have been a member of the same book group for about seven years. We meet at a Chinese restaurant about once a month and take turns choosing the book. In between meetings, I talk to my mom and my friends to see what they are reading in their book groups. Some groups meet at homes and others at restaurants, but almost all involve food and socializing. When my daughter was in 4th grade, we started a neighborhood book group for 4th grade girls, which lasted 4 years, meeting every other week in the afternoon. They even met in the summers, and everyone took turns bringing snacks. We hired a teacher who ran the group, which was incredibly helpful for keeping discussions interesting and on track. The teacher chose some books, while the children would occasionally chose others. They discussed the books and also did some fun hands-on projects to bring the books alive. We even went on a few field trips, to a used book store, a movie, and a couple of restaurants. When the teacher was no longer available, parents alternated leading the group. My daughter looked forward to these lively meetings and enjoyed reading the books. She was always reading for pleasure, even beyond the book group. Make the book group a positive, fun experience. Allow some time for socializing and snacks. The children should participate in choosing the books, regardless of who makes the final decision. The book choices should be high quality, but also interesting - page turners are great! Ages and genders can be mixed or separate. The size of the group should be at least five, but preferably more. Students and their parents should be committed to attendance. Treat this book group as you would any other after-school activity. It is a good idea to vary genres, including fiction, historical fiction, science fiction, biography, mystery, and nonfiction. Someone should be in charge of leading each discussion and focusing on the book for most of the time. The leader can be a hired teacher, tutor, or parent; if the students would like to lead the group themselves, have them take turns, but always have a parent oversee everything. Each book leader should do some advanced preparation like writing a list of questions and preparing an activity. Reading the book must be a requirement to attend. If a child consistently does not read the book or misses meetings, he or she should be dismissed from the group. Members of the group do not have to live in the immediate neighborhood but should be able to get to the group easily. Please feel free to share this information. The more children we can get to read for pleasure on a regular basis, the more educated our society will become.